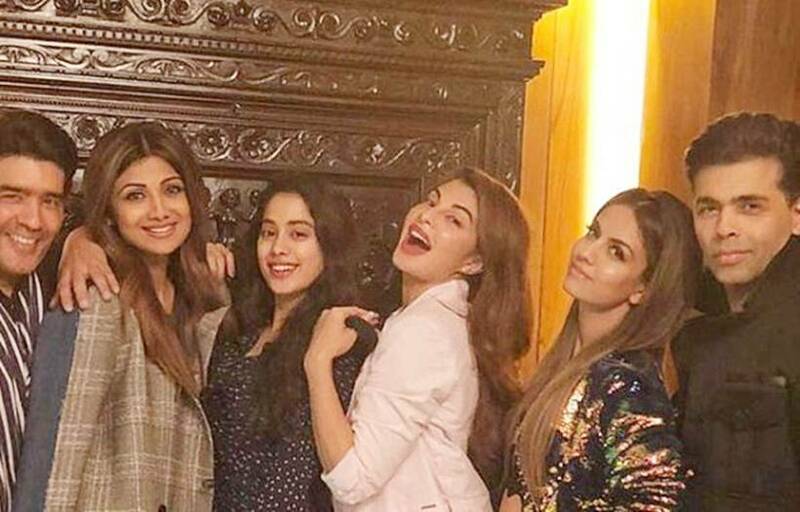 Manish Malhotra hosted a Saturday evening get-together, which was attended by ace director Karan Johar who was accompanied by Shilpa Shetty, Jacqueline Fernandez and Janhvi Kapoor. Natasha Poonawalla was also one of the guests of the evening. 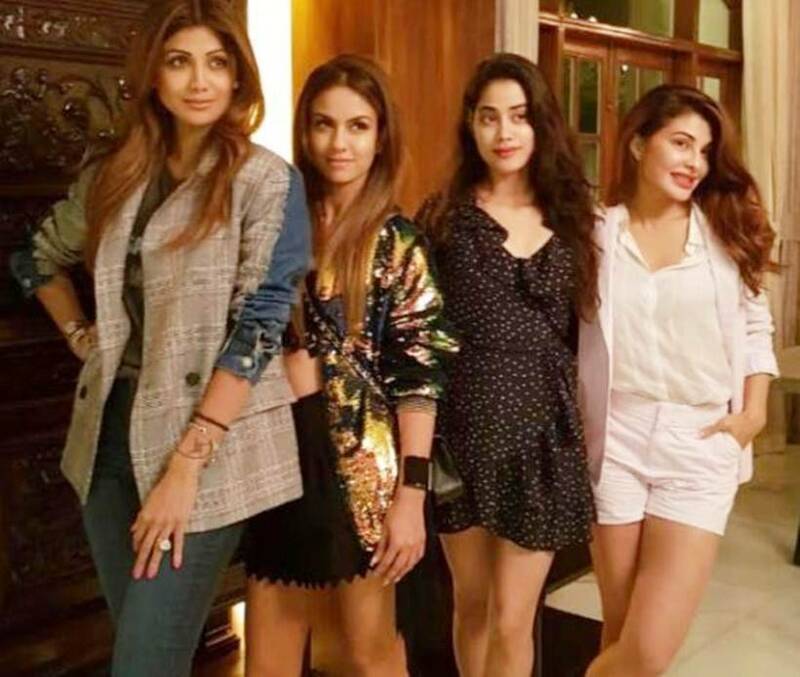 Shilpa Shetty shared a picture from the evening. She captioned the picture as - "Saturday night @manishmalhotra05 ( best host ever)home.. 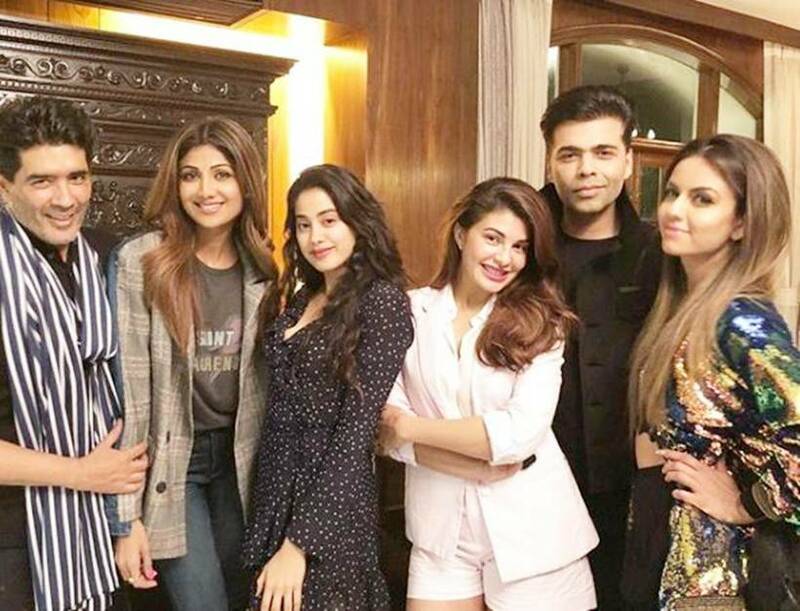 Even the rains couldn’t dampen our spirits😬😛Such a #chilled night with @karanjohar(and his humour😂) @jacquelinef143( and her madness) @natasha.poonawalla (me still obsessed with those shoes😍) and @janhvikapoor can’t wait for the #dhadak trailer to hit the screens😘." 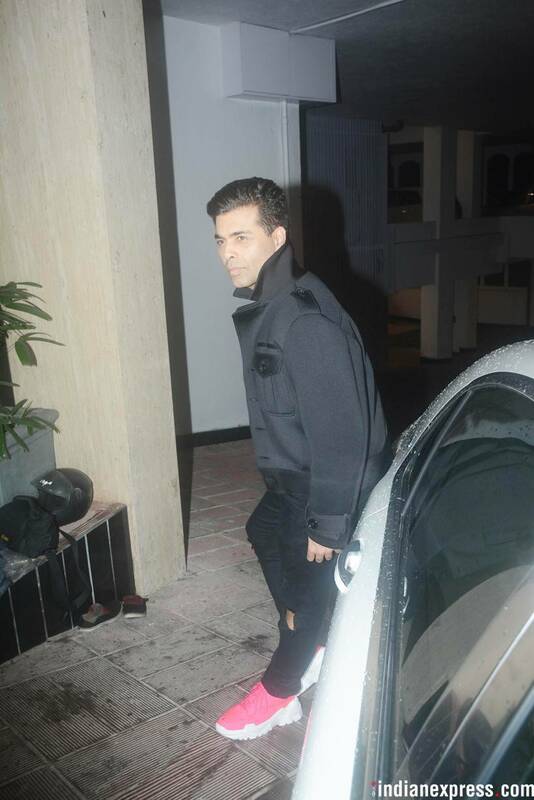 Manish shared pictures on his Instagram as well and wrote, "Nothing more relaxing than a fun night with your friends." The party comes two nights before the big trailer launch of Dhadak, which is scheduled for June 11.